You buy Battlefield 1 Set of equipment.attentionAttention! To access the upgrade, you must have purchased and installed the main version of the game Battlefield 1! Zarya of world wars is better to meet fully prepared. 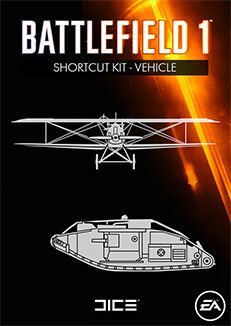 The equipment kit contains all equipment kits and basic weapons for the "pilot" and "tanker" classes in the Battlefield ™ 1 online game. Included are only items for the base game. In this set for the class does not include items added in the future downloadable content or add-ons, content that is opened through combat sets, as well as promotional items.